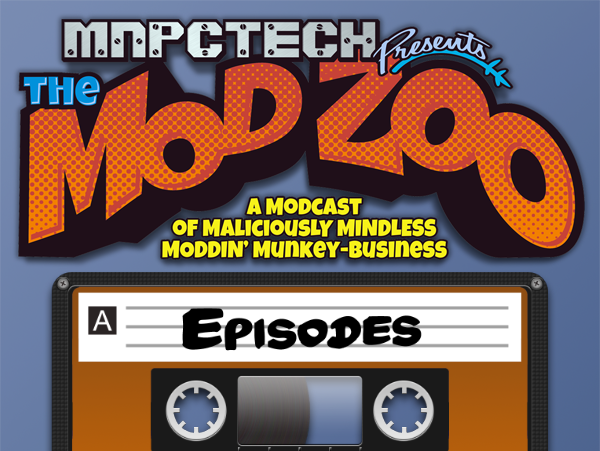 Kyle starts the nineteenth episode of the Mod Zoo with the normal crew, Bill Owen from MNPCTech, Jeremy “EEL Ambiense” Birch, Cheapskate aka Munkey and for the second episode in a row we let Toby Kirkby on, sorry about that! The main discussion of the cast was about the Best and Worst Bananas of 2013. We get through a Question and of course What the Hell! Yes, just what I needed to get through the rest of the day. Thanks guys. :Kyle: “It’s not my fault”. Classic!! All that sound improvement, and Kyle sounds like he’s on the toilet. Might need to talk acoustics next time. Another great podcast. You really made me laugh!!! Keep going with this!! The sound is much better! Another great podcast! I hate sponsor whores! The best in the world were noobs at some point. Also thanks for the response on the CNC, we also went over it in the Hangout! I appreciate the help, I think I am going to go with the CNC toby got and beef it up a bit. yeah no doubt, made up my mind on the CNC, I am going to hold off on the 3d printer until the end of this year. You can use the same platform for 3d printing. -The tricky bit would be making the parts swapping simple. Yeah I get what you mean, that might get annoying if I need to use both tools for the same project though. Id like to practice CNC throughout the year and get my skills up, then start heavy 3d design.